Artist rendering casino and future hotel. 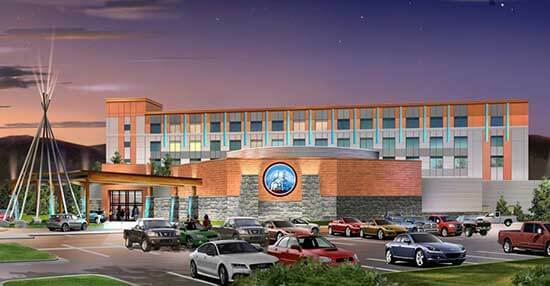 The Confederated Salish and Kootenai Tribe spent $15.4 million to buildtheir new Gray Wolf Peak Casino. The new Evaro facility replaced the original casino used for the past three years. The grand opening of the new Gray Wolf Peak Casino was November 1, 2016.